You asked for a taller, sturdier beer pong table that wouldn't break the bank and we listened. The GoPong PRO table elevates the playing surface from the traditional table height of 27.5'' (mid thigh height) to a more natural height of 36'' (waist height). 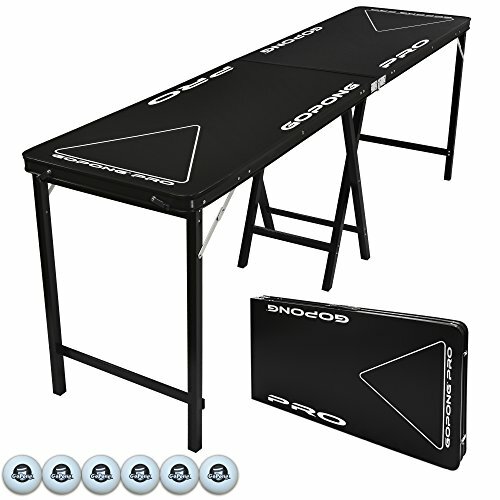 The GoPong PRO tables also incorporate a thicker aluminum frame with center scissor legs, making them the most stable and durable tables available. Even with the bulked up features, we still designed the PRO tables to fold up for compact storage. If you are looking for a premium beer pong table at a reasonable price, the GoPong PRO is for you.